I am pretty sure that you are about to buy a new and fabulous replica watch. In this case, you probably need to know where and how to find it. Believe it or not, the answer lies in endless researches and comparisons between countless replica stores. Who offers the lowest price, the best quality and great services? Once you get an answer to all these questions you basically know where you should order the replica from. 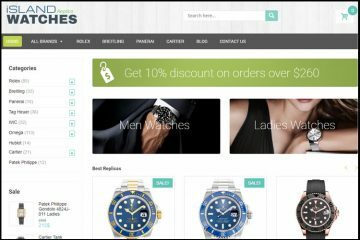 Discountshopuk.co.uk is an online store that bases its business on very low prices, on discounts that will make it almost impossible to say “no” to its products. The website looks very simple and easy to use. It doesn’t feature any complicated color schemes, flashy banners or colors. It is as simple as it gets- a white background, a wide promotional banner, a discrete top side menu bar, an additional left side brands’ list and a few sponsored products. While in the top side menu bar there are only 6 menu brands included, the left side one shocks you with an endless list that comprises some of the most loved luxury designers in the world. And the extravagance continues. Categories like Rolex, Breitling or Tag Heuer offer over 1,000 different models. Of course, browsing such wide collections without an Advanced Search option is truly impossible so thankfully this website offers the option of narrowing down your search by selecting one of the following criteria- Gender, Strap Material, Strap Colors, Dial Colors and Movement. When you are buying a replica watch from Discountshopsuk.co.uk you get to choose timepieces with one of the following inside mechanisms- Asia automatic, Japanese quartz, Swiss automatic, Swiss quartz and Valjoux 7750 Movement. The prices range depending on the movement that powers the watch. For instance, Japanese 21 jewels Miyota automatic movement fakes cost about 70 GBP- 150 GBP while Swiss 25 jewels ETA self-winding mechanisms are priced between 150 and 300 GBP. As this website targets UK based customers, all the prices are listed in GBP, but don’t worry. It delivers packages all over the world and your bank can easily make the conversion when you pay by card. 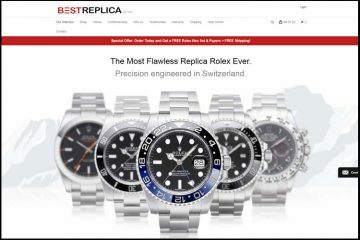 I just hate it when I see replica watches websites that have copied pictures of very authentic looking replicas from about 3 different sources and merged them together as to fool us that it has good quality merchandise. 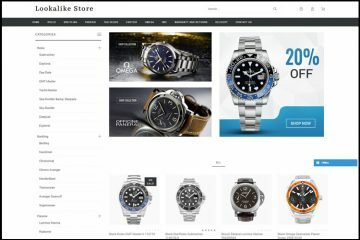 Websites like this one prefer to deceive its potential customers with phony pictures than invest in professional and unique photographs of its own replicas. In cases like this I simply cannot trust that once I pay I am going to receive the product or that what I will receive will be of decent quality. Discountshopsuk.co.uk takes only credit card payments. If you have the intention of ordering from this site then you better have a Visa or Mastercard. Otherwise, though luck! There are no alternative payment methods. The usual Western Union, Money Gram and Bank Wire aren’t available here. I do not like that! I do not like the fact that the merchant does not invest time and effort into offering flexible and diversified payment solutions to its customers. This only proves that it is not as professional and reputable as it would like to make us think. But there are also good news related to this replica watches merchant. It seems that regardless of the destination country, the delivery is completely free. The company takes care of all the shipping expenses and it does this by dispatching your package with EMS which takes about 7-14 business days to deliver a parcel. Also, once your order is sent out you will get an email with the tracking number and the link where you can follow the progress of the shipment. If you are in a hurry then I recommend you to contact the store and say you want to pay extra for a faster delivery option. The satisfaction policy looks very good, if you ask me. On the Return page it clearly states that there is a 14 days’ time period for sending back the fake timepiece if you are not happy with the quality. But don’t wait longer than 14 days because afterwards they will no longer be able to offer a refund or exchange. The company will just repair the watch free of charge. Also, the 180 days free repairs warranty covers only manufacturing defects. Oh, and let’s not forget about the additional costs involved with sending a product back for exchange or repairs. The shipping fee must be paid by the customer and there is a 20-40 GBP restocking fee that you need to pay as well. Unfortunately, Discountshopsuk.co.uk does not have decent customer services. And by decent customer services I mean a responsive phone, email and chat so you can sort all your question, worries and problems with their agents. This store does not have any of the above mentioned options. It offers only a plain Contact Form which is integrated in the website’s structure. Basically, you need to send a message and wait until they care to answer. 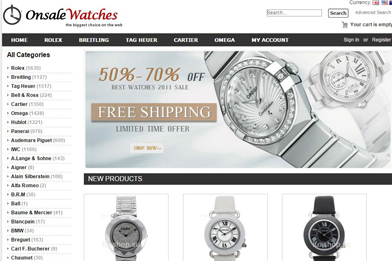 Discountshopsuk.co.uk isn’t that trustworthy as its website design may suggest. It actually offers numerous reasons to doubt its reputability. 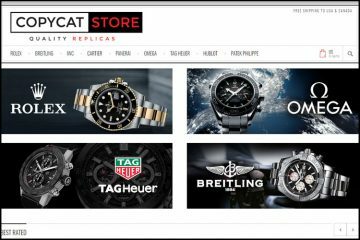 This fake watches online store does not use its own product photos, but some images copied from various sources, it does not provide good customer service, other than credit card it does not take other payment methods and it charges a restocking fee for returns. The only things that may trick us into buying its products are the free worldwide delivery, the low prices and the 14 days satisfaction guarantee. I ordered two watches, but one is sold out, I get my money back off credit card for that watch, the amount show at my monthly billing statement in 18 days, that is too long. I am thinking about to ordered again if they give me a discount. I received my watch, it is good. They are located in different country for oversea online shopping, but the watches ship from China, the delivery time takes about 3-9 working days and they are responsible for the custom duty and tax. Same here, I ordered a watch and chased for a delivery date but then was told out of stock! Said they will send an alternative but nothing received. Absolute scam artists who should be avoided at all costs. I will ask for a chargeback via my credit card company and take this as a lesson learned. Yep this is a TOTAL SCAM. Ordered an watch. Received nothing in the quoted delivery times (1 – 2 days to process & 3 – 5 days for delivery). I emailed the company 5 times. Received no response whatsoever. All replica sellers ship from China. I recieved a watch from them & happy with what I got. Ordered one was out of stock, so took another one. They emailed and gave tracking. Customer service is very slow.